For survival in the globalmarket. We enhance ourproduct competitivenessby developing originalequipment. Daiwa Kasei strives to make our products more competitive by developing original in-house equipment for superior energy-saving and compact size. 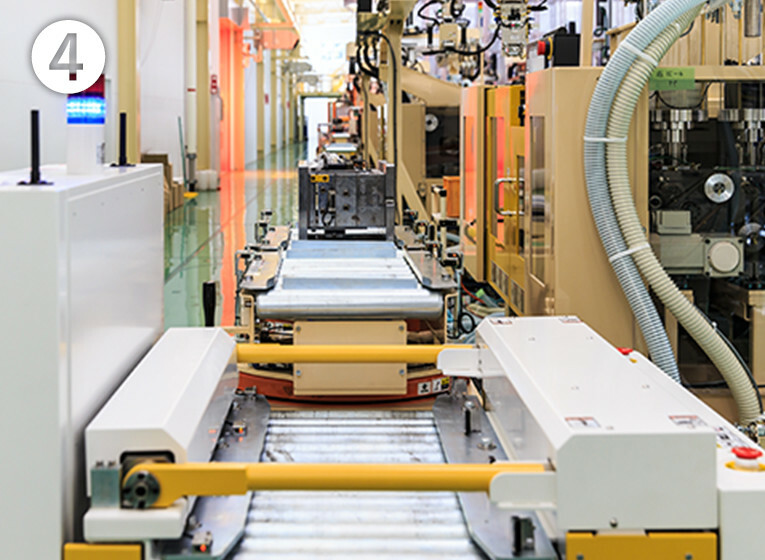 Our in-house equipment seek to achieve "high productivity" and "compact, energy-saving design appropriate for products." Normally, products are collected by human workers. However, the new "single-bag flow system" reduces the labor of collection by bringing products to workers. 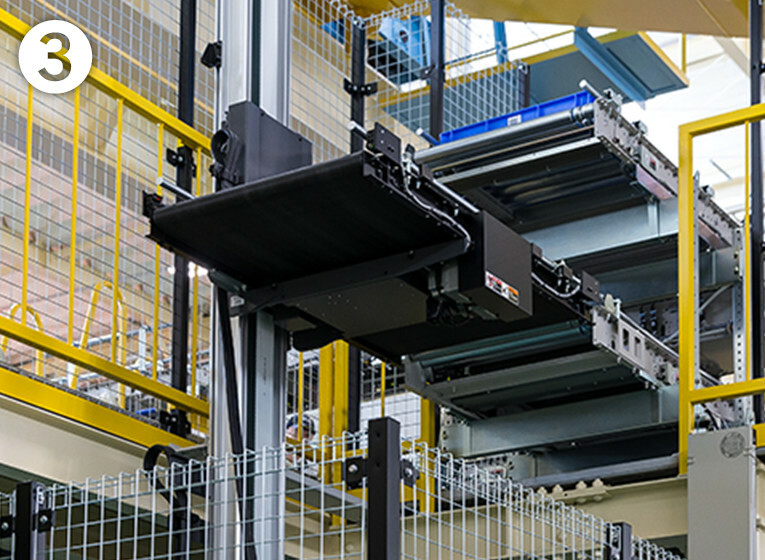 This system achieves automation from molding to packaging, sorting, and packing for shipping. 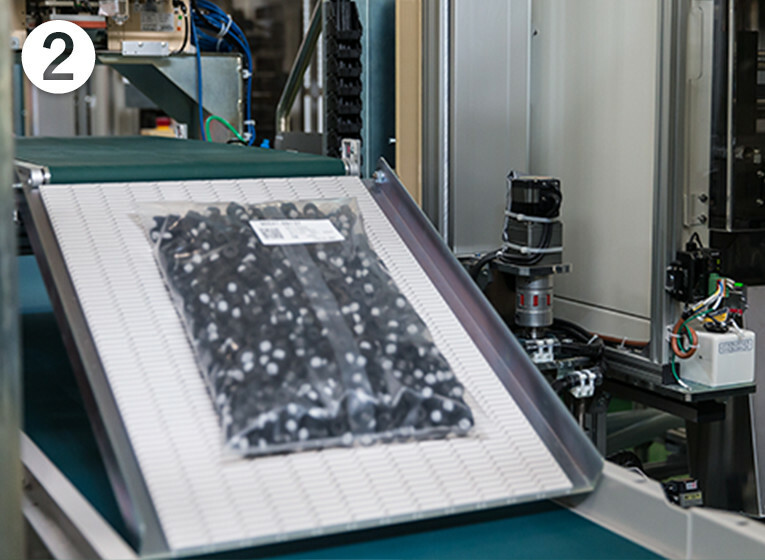 Packaged products flow from equipment to the conveyor. 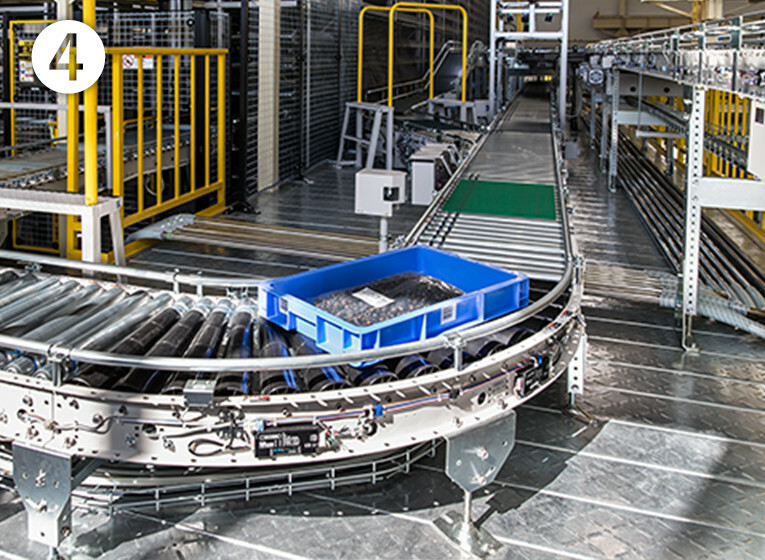 Packaged products flow from the aisle to trays. Trays lifted into the conveyor at the second level. 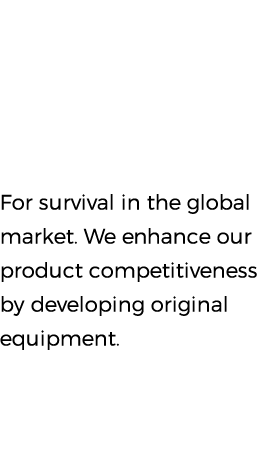 Products are collected successively from various equipment. 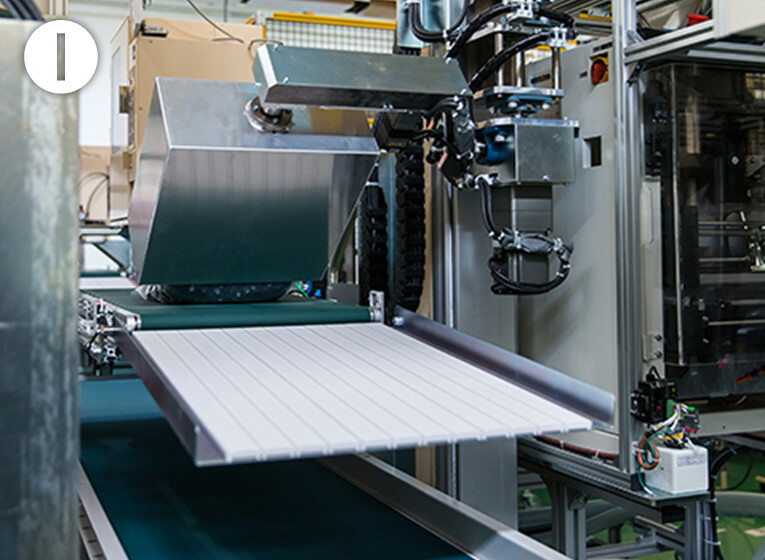 This system achieves unmanned transportation of molds via an AGV mold conveyor and crane-less changeover through automated loading to molding machines.This completely eliminates changeover wait, thus contributing to improve molding machine availabilities. The AGV mold conveyor is activated. Molds arrive at the conveyor gate. The designated molds are loaded onto the conveyor. Molds are conveyed to equipment. Developing original equipment to support detailed needs. 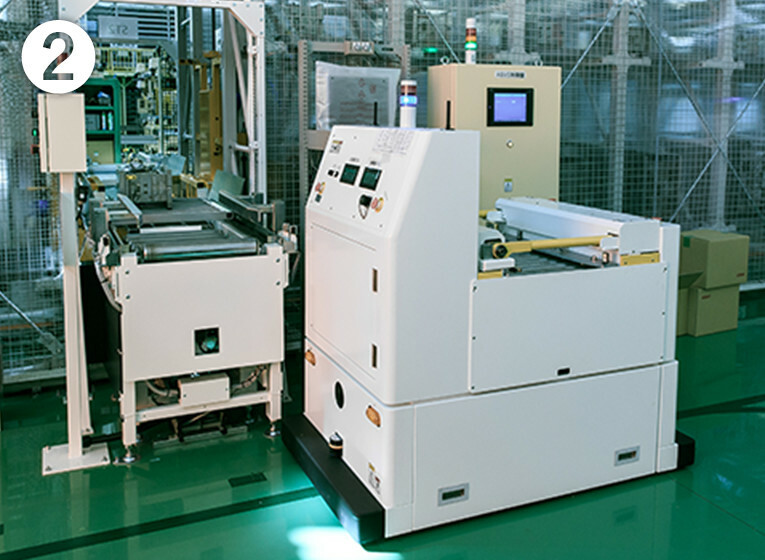 Daiwa Kasei develops original equipment to flexibly respond to detailed needs such as using different machines depending on the product or product quantity, or developing packaging machines in accordance with product packaging methods. 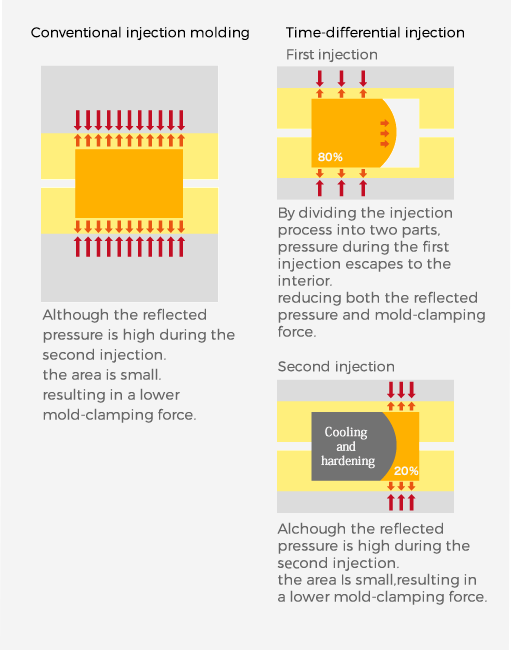 Conventional molding methods consist simply of repeating three processes in order: molding, cooling, and product removal. This generates time that any processes are not being performed. 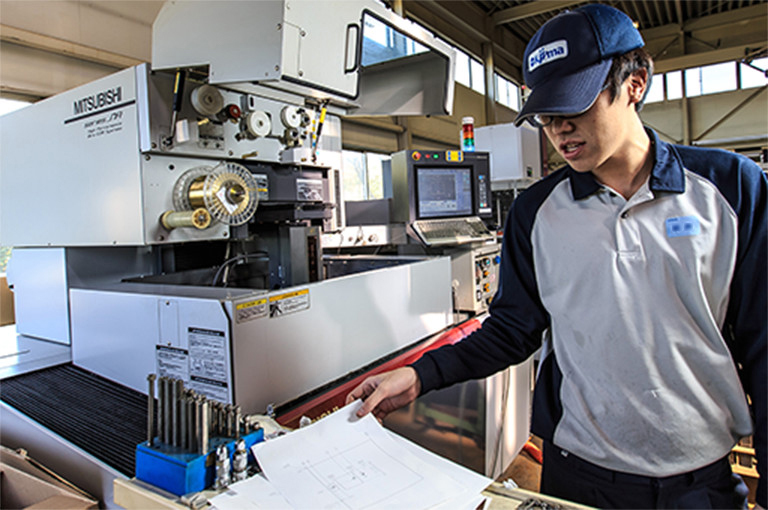 By loading molds onto a rotary table and dividing into three processes, Daiwa Kasei is developing high-productivity equipment in which all processes are constantly working. Waterproof clamps require a process in which a seal is assembled on the clamp. 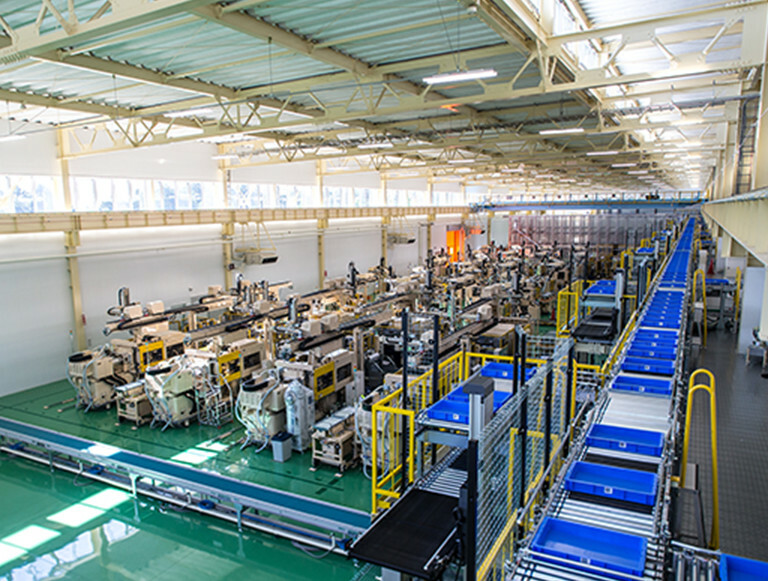 Previously, the assembly work was performed by human workers.Instead of relying on overseas production to reduce manufacturing cost, Daiwa Kasei established automatic assembly methods and image inspection technology, and created a production system that synchronizes the molding and assembly processes. 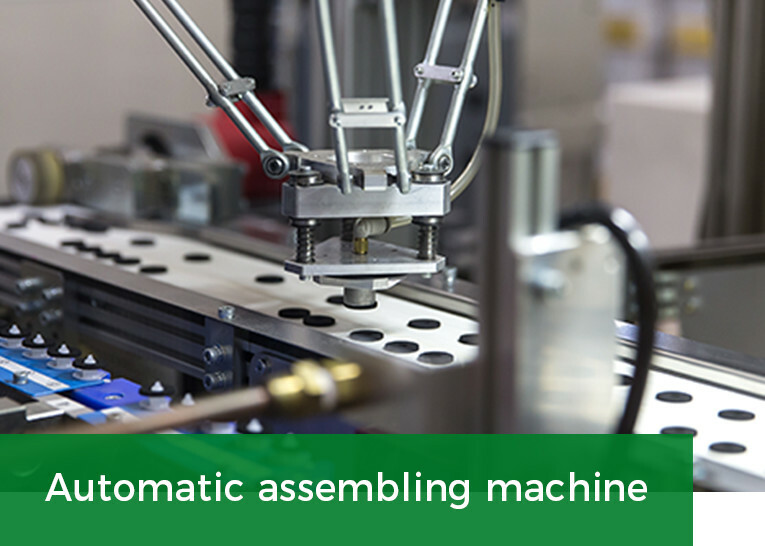 This has enabled us to develop automatic machines for unmanned work and stable assembly quality. 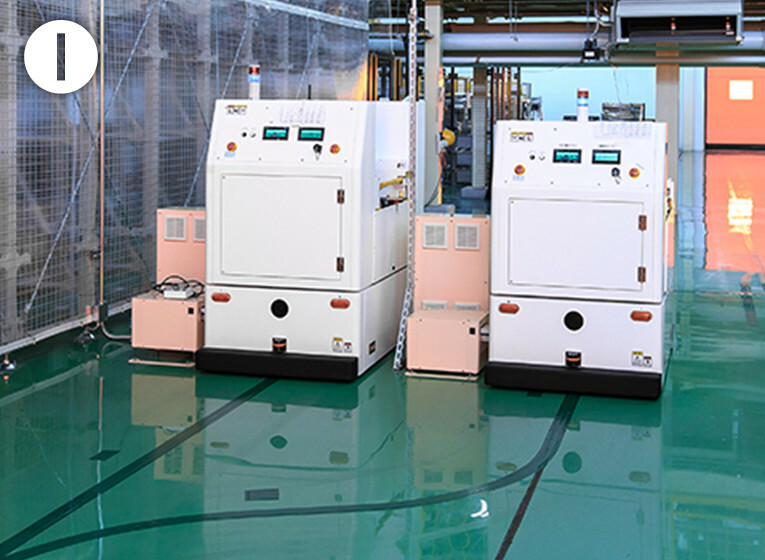 Daiwa Kasei develops many space and energy-saving devices and machines. 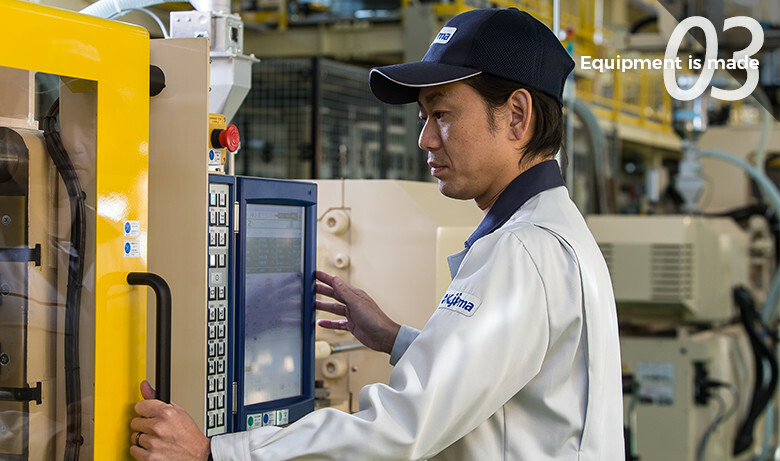 In addition, the corporate culture that allows employees to challenge, our original equipment developed in-house is one of our great strengths. 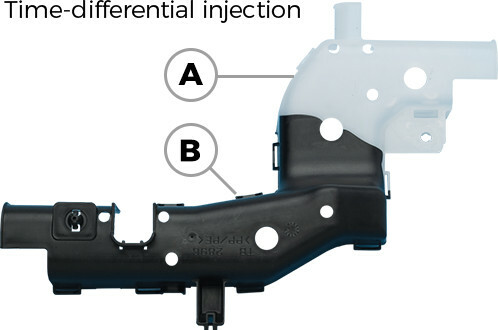 This method comprises two separate time-differentiated injections, resulting in a reduction in mold clamping force by 80%. 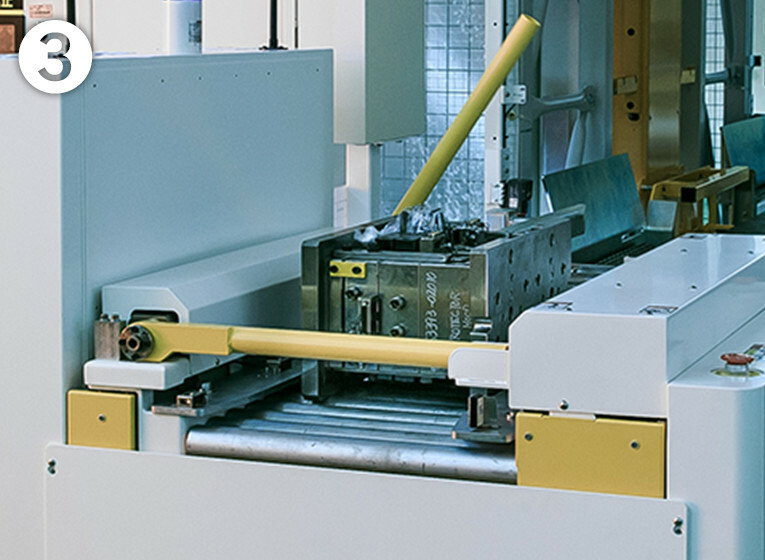 Through in-house equipment development, we have realized a capacity of molding machine reduced to 150 tons from conventionally required 350 tons. This means that reduction in the required footprint from 13.3 m2 to 2.9m2. The energy conservation realized thanks to this groundbreaking size reduction and compactness resulted in Daiwa Kasei being presented with the Energy-saving Award for Excellence in 2008. It was the invention of the “time-differential injection” molding method that made it possible to realize an energy-saving machine. 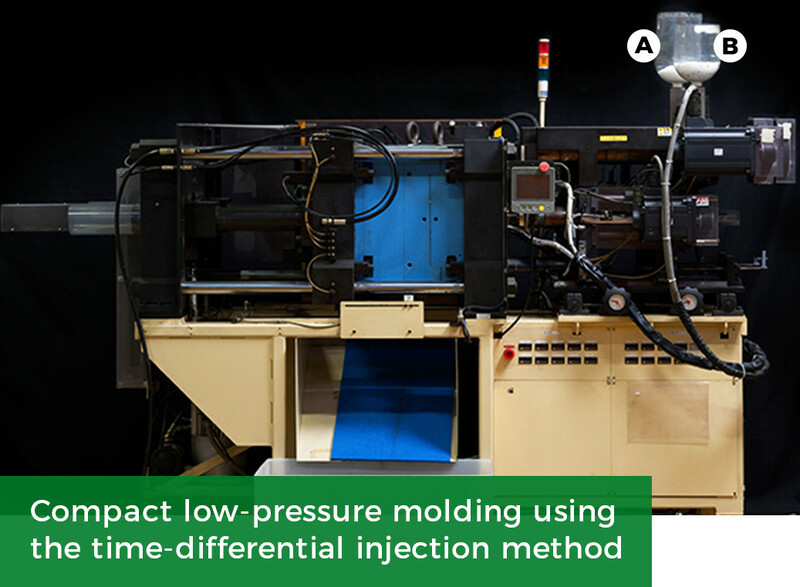 This method comprises two separate time-differentiated injections, resulting in a reduction in mold clamping force by 80%. 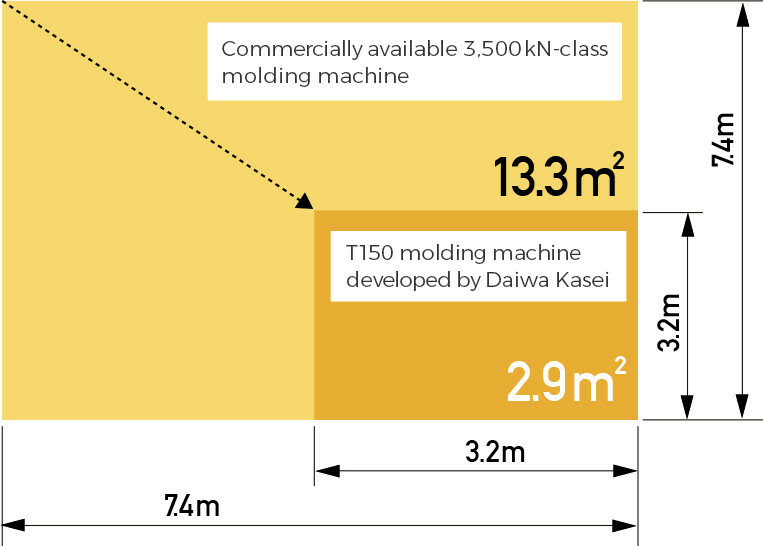 Daiwa Kasei won the 2008 Japan Machinery Federation Chairman’s Award for Energy-saving Equipment in recognition of its outstanding energy-saving undertakings for our low-pressure, compact molding machine. 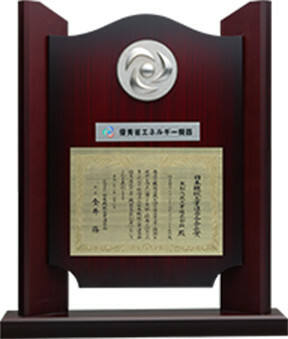 This award is presented by the Japan Machinery Federation every year in its commendation activity to companies and groups selected in recognition of their contributions to the promotion of efficient use of energy through the development and practical application of outstanding energy-saving equipment. 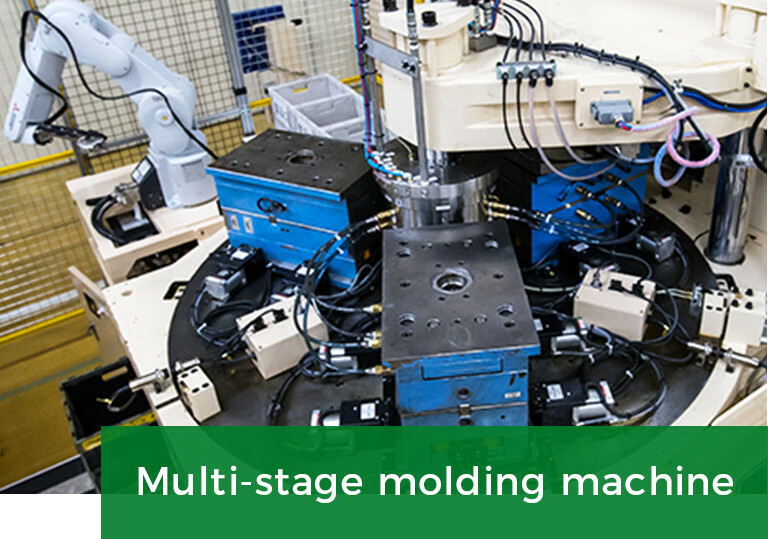 Recognized for its realization of “cost reductions, improved productivity and CO2 reductions,” the compact low-pressure molding machine for which the award was presented won wide acclaim as a device that realized major energy and space savings through a new molding method. We have also achieved energy and space savings with other equipment.